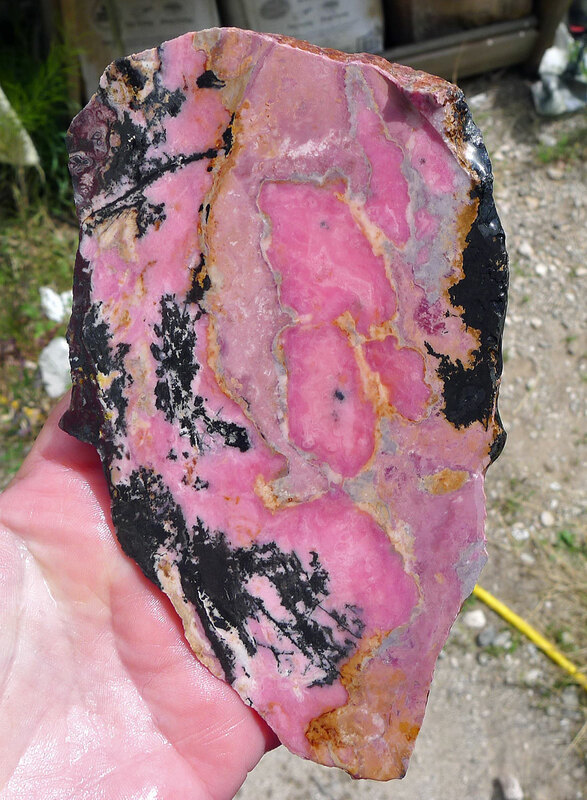 Large Rhodonite Slab for Lapidary Artists, Cab Makers and Collectors of Natural Stone Slices. This slab contains gorgeous combinations in shades of pink to lavender, slate-grey-blue and yellow with classic manganese scatterings throughout the stone. Some slices have coveted gemmy red areas as well. 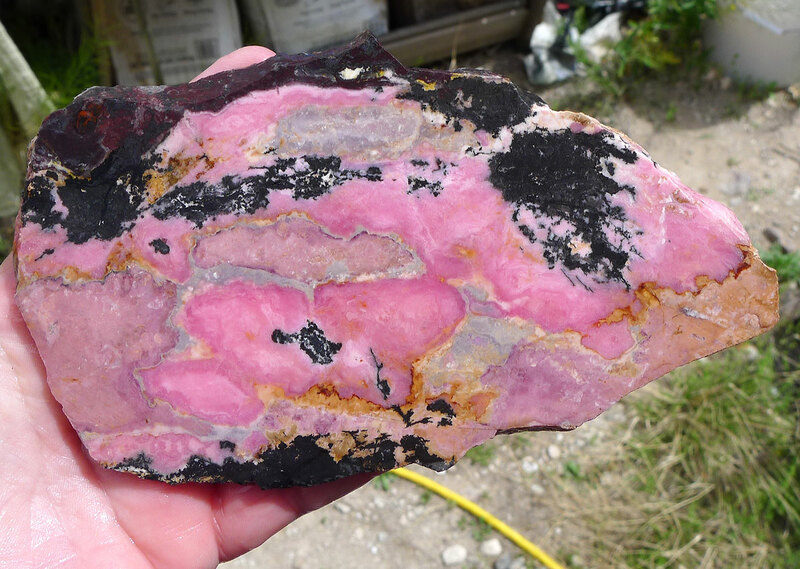 The word Rhodonite is derived from the Greek word 'rhodon' that means rose or rosy. 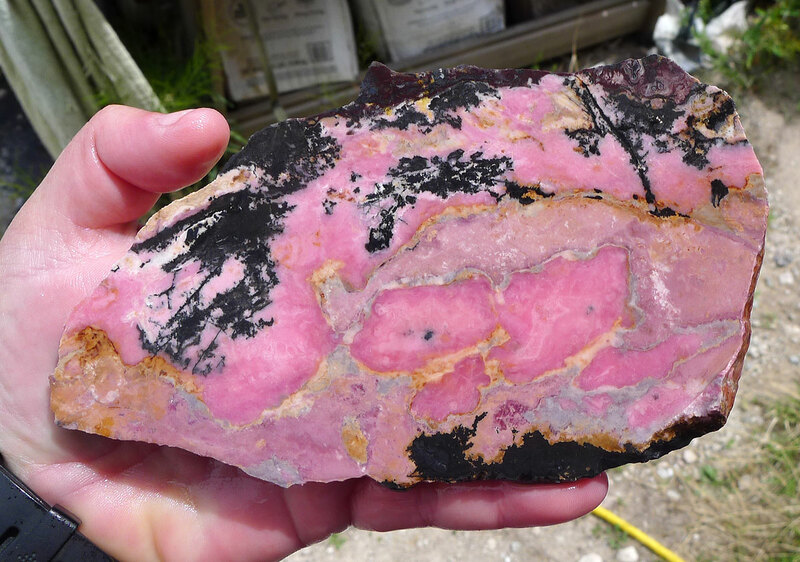 You will receive the EXACT Rhodonite slice pictured. Weight : 7.86 oz. - 222.83 gr. - 1,114.14 ct.
Rhodonite is a manganese silicate, sometimes with some calcium, iron, and magnesium. 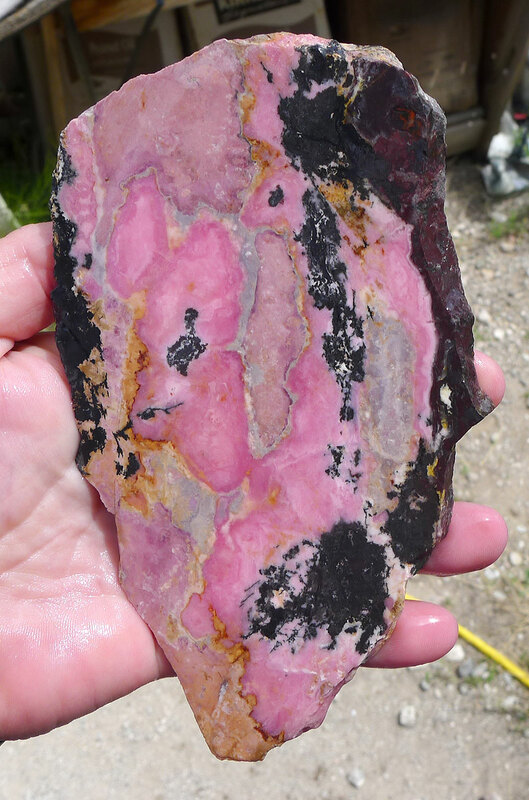 Metaphysically, Rhodonite is coveted for its powerful vibrations of pure love in unconditional form. Considered an excellent 'remedy' for calming frayed nerves, and allieviating anxiety, fear, and anger - replacing those energies with warm and fuzzy emotions like self-worth and wellbeing. A wonderful 'Rescue Stone'. Chakra(s) : Heart. Please Note: This is a lapidary rough slab; it is not polished. - Slabs are Cut in-house by Michelle of Silver Enchantments LLC here in the USA - There are some light saw marks that will not effect your cabochons. - Edges are rough and natural. - Pictures taken Outdoors and Shown both Wet and Dry. - Measurements are given in total outside/widest points. - I try to show the most accurate photo possible, but there can be color variations due to monitor settings. - I try to note any excessive issues, but please zoom in to examine for any flaws. - I cannot be responsible for fractures, vugs or blemishes from mother nature. Photo prop(s), finished cabochon examples(s), etc. are not included.